﻿﻿The very mention of the words "July 4th" has a unique way of bringing a smile to the faces of so many Americans. As I mentioned in my Memorial Day post, those of us here on the 3-19th ADT have been eagerly awaiting July 4th- as it is the last holiday we will have to spend away from our families. 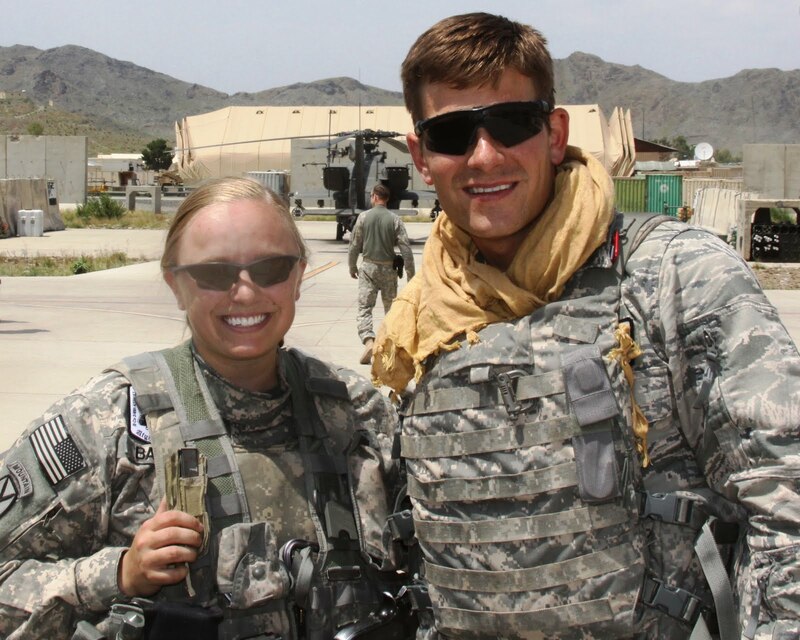 While even a scrumptious BBQ cookout followed by the finest cigar still wouldn't replace our loved ones back on the home front; we decided to do just what we have done for every other major holiday over the last ten months here in Afghanistan: cherish each moment and be happy it will be the last "insert applicable holiday here" you spend in Afghanistan. Team members and a few other friends from different units across FOB Salerno gathered here at the ADT compound on Sunday evening, July 3rd for a Hoosier style cookout. With Independence Day staples such as burgers, chicken breasts, and hot dogs on the grill; it might have been easy for guests to imagine they were back in the States for at least an hour or so. As Chief Rance assumed grill master duties, I volunteered my services to prepare appetizers. Man's worst friend (his alarm clock) started yelling at me a bit earlier than usual on July 4th, as I had set it for 5AM in an effort to grab breakfast before starting off on my Independence Day adventure. Several days ago, I approached a Blackhawk pilot friend of mine about the possibility of having several American flags flown over the Khowst Province. I was pleasantly surprised to hear that not only would the flags be flying on July 4th, but that I would also be welcome to ride along as an honorary "aircrew for the day". After a quick breakfast and a last minute effort to ensure both camera batteries were fully charged, I made my way over to the Task Force Tigershark Operations Center where I was greeted by several members of the crew that I'd be flying with for the day. We met just a few minutes after 6AM, although their first flight wasn't scheduled until close to 8:30AM. As I was handed the flight schedule for the day, I was a bit disappointed to learn that I was going to be "bumped" from the first mission of the day. The disappointment lasted only a few minutes, until I heard the reason for the change in plans. 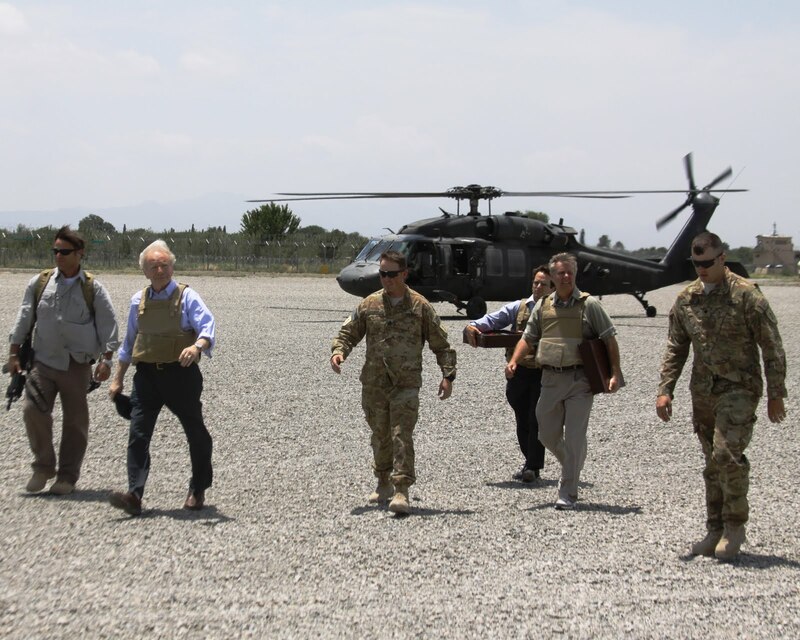 With only a few hours notice; a Congressional Delegation consisting of Senators John McCain, Joe Leiberman, and Lindsey Graham popped up on the airlift schedule. 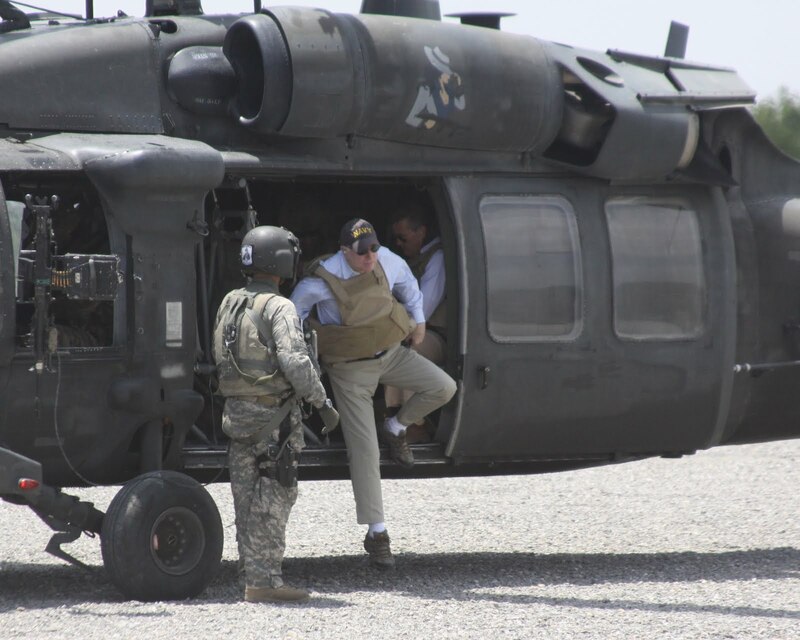 Apparently the Senators decided that they were going to leave the comforts of Kabul for a few hours and make a trip down to see those of us roughing it in Khowst Province. Where better to spend the 4th of July? ﻿Never one who would willingly miss a good photo op, I decided to make my way down to the flightline in an effort to at least catch a glimpse of the Senators as they arrived. 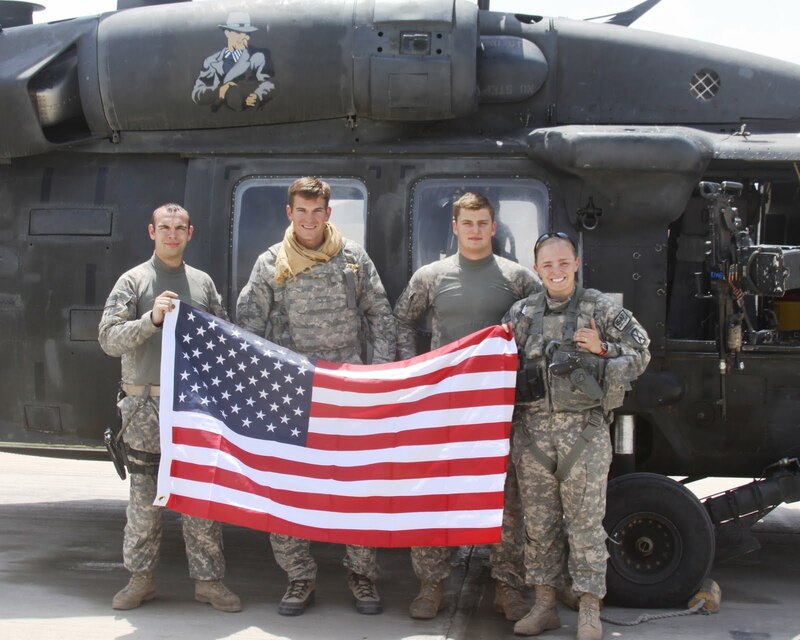 The Senators arrived on a C-130 aircraft and immediately made their way over to the group of Blackhawks (the ones I was supposed to be on) where they would embark on a short journey to visit with troops at smaller outposts surrounding Khowst Province. While I think the total time on ground for the Senators was less than two hours, the chance to shake the hands of three of our nation's leading legislators on America's Birthday made for a great start to what would only become another day to remember here on FOB Salerno. I had met Senators McCain and Graham during campaign events leading up to the 2008 election, but this was the first time I had met Connecticut's Independent Senator. Just for fun, I handed one of the staffers accompanying the delegation one of my "Indiana" patches (like I gave Bob Griese) and asked that if possible, the patch make its way back to Capitol Hill and into the hands of Indiana Senator Dan Coats. More to follow on this, as a staffer myself, I thought it'd be fun to test the system a bit. I boarded the Blackhawk just before lunch to start my journey for the day. The pilots had just finished flying around some "precious cargo", so they too had a great start to their 4th of July. As we traversed the province, I couldn't help but marvel in the potential of the surrounding mountains. While I don't see Khowst Province competing with Vail anytime in the near future, the mountains that makeup the Khowst Bowl still have a way of marveling a man from the sprawling cornfields of Northeast Indiana. In years to come, after the security situation has hopefully improved, a tourism industry in its infancy wouldn't surprise me in the least bit. ﻿﻿﻿﻿﻿﻿﻿After several routine stops along the way (with road conditions still "dismal" at best here in Khowst, helicopter travel is by far the most common method of transportation to many of the outposts), I began taking pictures from the gunner's window. In addition to the two pilots in the front of the aircraft, immediately behind the cockpit sit two "crew chiefs", or gunners if you will. If there is one thing that the American military has mastered over the last 235 years, it is that of teaching its members the art of "multi-tasking". Those involved in aviation most definitely understand this critical competency, as it is a necessary trait involved in flying any type of aircraft. The "crew chiefs" assigned to our flight today, in addition to conducting pre-flight mechanical inspections, also had the responsibility of ensuring our safety during flight as they sat perched behind their M240 Bravo machine guns. 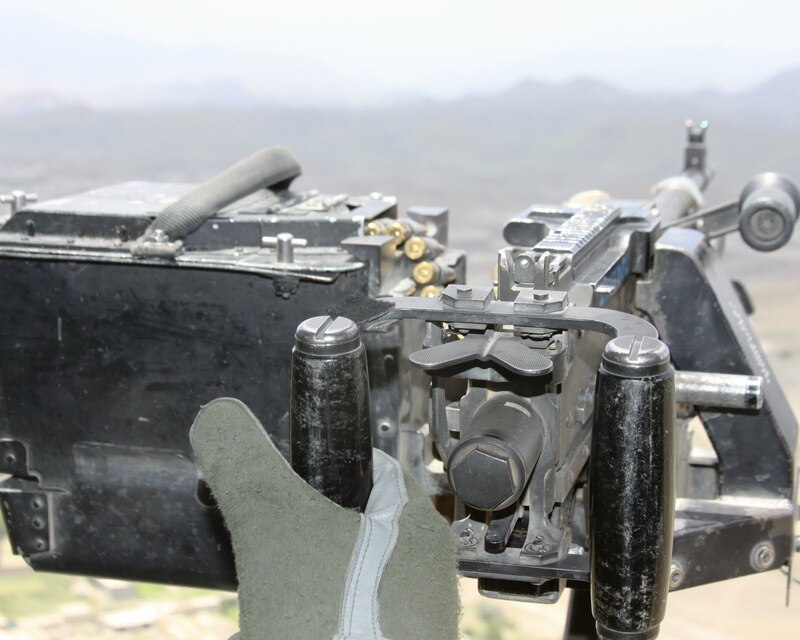 Each fully automatic weapon is capable of firing up to 950 armor-piercing rounds per minute, enough to make even the most incompetent of Taliban warlords think twice before launching a rocket-propelled grenade towards any NATO aircraft. "5.....4.....3.....2....1- Happy 4th of July!!!!" 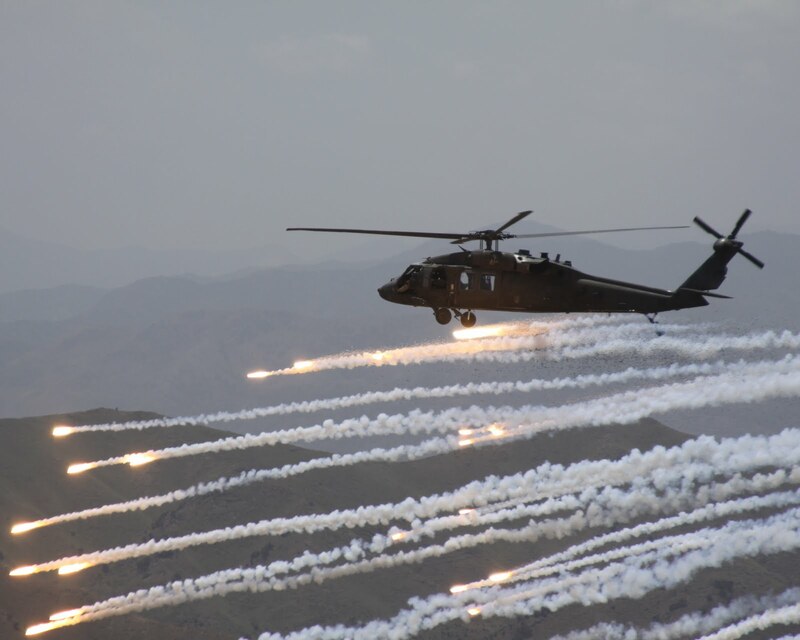 Just as Captain Bales finished her countdown, the Blackhawk traveling next to us shot off its flares. As you can see from the photograph at the beginning of this post, it made for a very appropriate photo-op on this 4th of July that we were all celebrating so far from the home front. The flight back to Salerno seemed like it literally flew by after our flare disbursement. With my adrenaline rushing after the photo-op, each additional segment of the flight seemed like it was out of a storybook. As we arrived back on the ground, I honestly felt like a child that had just conquered Cedar Point's highest coaster. We took a few moments to snap a couple more photos, then parted ways. The crew was just down for a brief lunch stop, then headed back up to finish their work for the day. As for me, I was headed to download some of the 600+ pictures I had taken that day. So as you might have already gathered, the 4th of July has kept in tradition with providing a fantastic memory of holidays here on FOB Salerno. While I'm happy to say that I'll be back on US soil for Labor Day, holidays spent here will undoubtedly spark fond memories in my mind for years to come. Between a random visit from a group of US Senators and a once in a lifetime opportunity to photograph flares fired from a Blackhawk; July 4th, 2011 was a day to remember. Thank you to all at Task Force Tigershark for making this remarkable day a possibility! Wow, what an experience! You always seem to be at the right place at the right time! Glad to hear you had a fun and exciting 4th of July...stay safe!